Disclaimer: I will do updates on this site first since I have direct access to it. So if this gets approved check ESOUI for updates in the future or my eso forums post. In Settings > Addons > Votan Darker Nights > set New Moon to 80, Full Moon to 90. 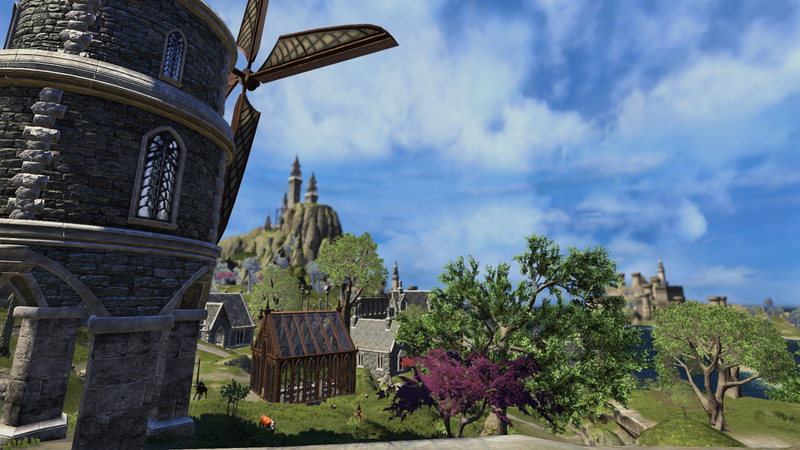 Finally the most massive ESO graphical overhaul has been released. With the newly released shader pack for Reshade 3.0.7 there are some really neat effects you can replicate in ESO. After weeks of tweaking and consulting with shader programmers I've finally finished this master piece. This is more than just a Reshade preset, it also contains slightly modified shaders for ESO and increases the view distance drastically, so there is no longer a blue tinted fog everywhere. This preset is based off Ultra Real Lighting and Colors, adjustments were made mathematically with a bit of eyeballing on the side. There are several differences between this overhaul and any other preset. The aim of this project was to replicate visual enhancement mods seen in Skyrim/Oblivion/Morrowind with ENBs and such. SweetFX previously did not have the tools to do the things we can achieve now in ESO. Press RShift + F2 to bring up Reshade GUI, if you have drastic performance problems (5+ fps hit) go to Settings, Usage mode, then click performance mode. 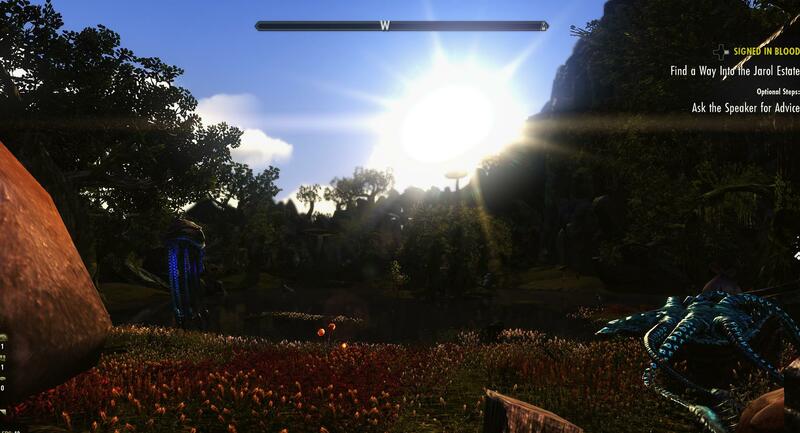 ESO Graphics Extender is a combination of multiple tools and shaders. We use Hook64 to increase the draw distance and remove some excess fog. Reshade is used to render the graphical enhancements, and this specific reshade has been modified to allow depth buffer access at all times. In the public reshade there is a netcode to disable depth buffer access to prevent reshade from being seen as a cheating device. ESO however is aware of reshade and hook64 hence you cannot exploit the game with it anymore nor is it against their rules. For those of you who are familiar with SweetFX you may have seen other presets. However this reshade version has been developed along side some really neat shaders. We can now achieve things like DOF in ESO which was huge for me. As well as the preset being specifically developed for extended view distance. This is still a WIP so please take screenshots and report any problems that occur. I'm aware of the black texture issue and am looking to fix it if possible. 1) Reshade doesn't render unless GUI is active. Solution: Shift+F2 then click Settings, then change Input Processing to "Block input when cursor is on overlay". Now under user interface check show Time/FPS. Solution: Check d3d11.ini and dxgi.ini if the paths are set correctly for you game and shader folder. Solution: Full screen breaks DOF, change to Windowed Fullscreen. Finally tried this after having used the latest ReShade (4) for a while and experiencing depth of field flicker. Thank you so much for your work! I really love the depth-based effects and am now enjoying them without any flicker whatsoever, even in well-populated towns. I do miss some of the shaders that were available with version 4, though, like the UI masking, which I'd added to mask the compass from the depth effects. Any chance there's a version of ReShade 4 out there with depth enabled while online? All you need to do is enabled depth buffer access, change a single line in the source code then compile it. The only reason why it's disabled by default is to prevent cheat detections in other games. ZOS however is very good with anti-cheating, they're aware and made sure no exploits can come from Hook64 or Reshade. I haven't done so because I saw literally no reason to upgrade reshade. You can use UI masking or similar shaders to prevent hud from being effected, but the problem is with ESO specifically there are thousands of different arrangements people make their HUD, also the resolution and scaling will change it. So unless you have a smart enough UI masking filter that can somehow detect HUD, adding a UI masking to this would be pointless as it'd be different for everyone else. Is it possible to use this with Steam client? I have modified the INI to point to where my ESO is actually installed, however I cannot login using my account once the game opens. It only works if I launch ESO the correct way so it automatically logs in. I am assuming that if I connect that way, the hook64 wont be working. Hook64 has an option for it. Click the settings button > ESO tab then Force Login: Steam. Also, I customarily run all applicatons which access the Internet in Sandboxie sandboxes, configured for each specific application ( https://www.sandboxie.com ). 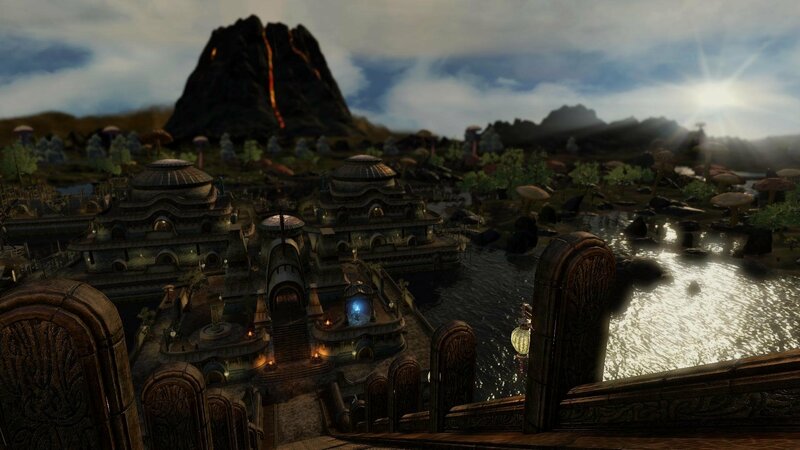 The ESO game client has loaded and ran in its Sandboxie sandbox during the past four years without any problems. Of course, I am not requesting support for doing this with Hook64, but I will appreciate it if you respond with some information. (1) In my observation, Hook64 does not modify the game client or any other files in the game installation when I run it. Rather, Hook64 is designed to modify the game client after eso64.exe is loaded in memory, then it notifies the OS to execute the client. Is that correct? (2) Why does Loader.h64 access the Internet? On the face of it, its only purpose is to load exo64.exe into system memory. Is it loading anything else? 2) Checks to see if there are any updates, there is no auto-updater. The sandbox is messing up the way hook64 hooks into the executable. As expected, if it's only recently started doing this I don't know what the issue is. Sandboxie was designed primarily to prevent software downloaded from the Internet from self-installing on the user's computer system. That is, the "installation" is only within the sandbox file tree, not on the machine outside the sandbox. Sandboxing allows the user to examine where the software installs and what it does when it runs. To remove malware, just delete the sandbox. That said, I have used Sandboxie for almost 9 years, but began running ESO Graphics Extender about 2 weeks ago. Sandboxie, no doubt, takes measures to prevent a program, running anywhere, from modifying another program's system memory image when the target program is sandboxed. For example, Sandboxie prevents malware from modifying its own system memory images while they are loaded and executing, and prevents modification of its own files installed on a disk drive. Thank-you for your answers. I will investigate this further, and visit the Sandboxie tech support website forum. Must I run Launcher, then run Hook64.exe, each and every time before I launch TESO? Or should I run them only after ESO Graphics Extender and/or Hook64 are updated? Thank-you for your time and attention to this question. Hook64 launches ESO.exe, if your game is out dated of course you'll need to run the default launcher to install updates. First, please note that I must install Hook64 in the same folder as eso64.exe. Else, it will not find the game installation on the disk partition D:\Program Files (x86)\The Elder Scrolls\. After I run Launcher, Hook64 will launch eso64.exe -- but if, and only if, eso64.exe is not executed in its sandbox. On the first attempt to also run Hook64.exe in the same sandbox, eso64.exe was loaded in system memory (at least), but no output from the game client was displayed. Since then, the Hook64 software runs in the ESO sandbox, but it does not launch the game client. Last edited by Shadowshire : 01/20/19 at 10:42 PM. Re: Voltan Trickery, Why you! The text you have for Voltan's Darker Night is correct. The ACTUAL hypertext link goes nowhere. I didn't do this. Somehow the links got changed the youtube link did the same thing. I've changed them now. Last edited by Shadowshire : 01/07/19 at 09:51 PM. First, for what it may be worth, whenever I install software that has a file such as Settings.ini, I always take a look at its content. The reason for my original post on this subject was that when I ran Hook64.exe from its folder on the desktop, it could not find the TESO installation. After I reviewed the comments at the start of Settings.ini, I started moving the Hook64 folder to locations on the drive D:\ partition where TESO is installed. Probably your Hook64 installation works because ESO is installed in its default location on the C:\ partition. My guess is that the script for ESO in the ...\Hook64\Scripts folder directs Hook64.exe to look for eso64.exe, and the Reshade + Preset folder in that location. I ... have missed that - I have 3 SSD's but EVERYTHING runs off my C: - zero issues - where did you read that - I would like to check it out. Hook64.exe, Loader.h64, x64.h64, x86.h86, and the Settings.ini file had to be installed in the same folder as eso64.exe -- with the Hook64 Docs and Scripts folders also in the same folder as eso64.exe. Then I created a desktop shortcut for Hook64.exe so that I could run it while Launcher was already running (but not the game). Note: when I used the shortcut to run Hook64.exe, it showed ESO as installed in its initial dialog. After I selected it, the utility program made changes to the ESO installation (I suppose), but it did not launch the game. For that, I used a desktop shortcut to run eso64.exe. My educated guess and my 15 years as a network admin and app manager is that info is old. It may be old advice, but once you understand what the comment means (it is a bit vague), it is valid. In fact, locating the contents of the Hook64 folder to the location of the game client is currently necessary while the game client is not installed in its default location. One assumption I made was when you start with the launcher - you don't need to worry about the 64 or 32 version. The launcher takes care of that, or so it seems. ZOS no longer installs a 32-bit version of the game client, and Launcher removes any that it finds present. As far as I know, all TESO files are now for a 64-bit executable. Currently, there are two versions of the 64-bit client. One is run on systems that have a multi-core CPU which does not implement multi-threading. The other is run on systems for which the multi-core CPU does implement multi-threading. Launcher detects whether the CPU supports multi-threading, and installs the appropriate game client. After all of the time and effort, frankly, I don't recognize that the "extender" has changed the visual display of the game world very much. Yet, it does look a bit more "3 dimensional", and it seems that the edges of objects are sharper, too. So far I have not encountered any problems attributable to using it. By the way, I run the game "Full Screen (Windowed)". My 2 copper - when you add in the Voltan darker nights with it - I think it looks really good. in case you want to see my setup. Thanks for all your testing - I think you should stick with it until you are sure 1) it's working correctly 2)then decide if it's an improvement. Yes, I have had Votan's Darker Nights installed, and set New Moon to 80 and Full Moon to 90, as recommended by Votan. The only thing that I don't like is that the interiors of buildings are too dark regardless of the light that candles, lanterns, etc. cast. They were not designed to glow with Darker Nights in mind, I'm sure. Votan likes to keep it simple, and I do not know whether it is even possible for an addon to determine whether a character is inside a building which has active lighting fixtures, in order to lighten the display up a bit. I will use your numbers for Darker Nights to see whether it improves interior lighting. Again, thank-you for your interest and advice. Last edited by Shadowshire : 01/07/19 at 02:18 PM. another test I removed Hook64 from the folder, ran it only from the desktop. Looks like between the two of us we can get it figured out, hopefully. One diff between what you do and what I do (and I'm doing both to test it to see if there is an issue). I am running the entire Hook64 from my desktop - scripts and all - zero issue. I DO not have it in the same folder with the shaders. Why? I'll be honest, I was very stoned and the reasoning eludes me now, lol. Will let you know how the testing goes. The most vague aspect of installing ESO Graphics Extender is where to install its folders with their files. First of all, no mention is made that none of them are installed in the ...\My Documents\The Edler Scrolls Online\live\Addons folder (in which all other ESO Add-ons are installed). I missed have missed that - I have 3 SSD's but EVERYTHING runs off my C: - zero issues - where did you read that - I would like to check it out. Why do I say that? Mine works - plus when running Hook64 from my desktop it finds ESO and launches it. When one program launches another, depending on how it's written, it could be running in the same process instant (child process). Again, guessing - need testing. I'll wait for the author to touch that one! Moving Hook64 folder into C:\ESO\The Elder Scrolls Online\game\client\ to see if that changes anything. The You Tube tutorial is a bit too fast, and sometimes unclear -- aside from the fact that you apparently use a customized desktop that looks nothing like the Windows 7 desktop on my computer . "Extract Hook64" (from what, another compressed file?) and create a shortcut for it on the Windows desktop, correct? I had a lot of these questions and the instructions were VERY lacking. I have some background in this stuff so I figured out a way it works great for me - maybe it will for you too. I assume you copied all the Hook64 and shaders etc to the folders. Yes, I had to install them, since the existing files were for a previous version of .NET and Visual C++, respectively. 3 - Run Hook64 which will ask you to select ESO (select it) and then it will start the game! To the author - this is great work - I just had trouble with it and figured out what I could do to play using it all day. Nothing I said here is to detract from your work. I was just offering advice and hopefully helping more people use your work. Last edited by dopiate : 01/05/19 at 06:20 PM.